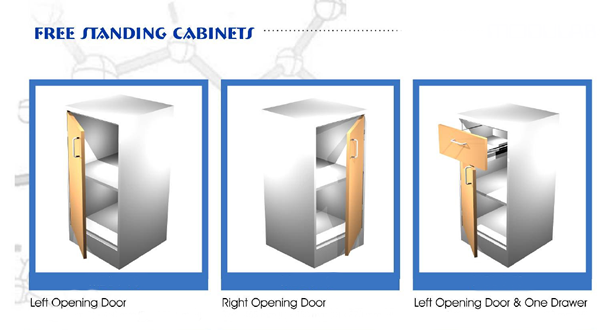 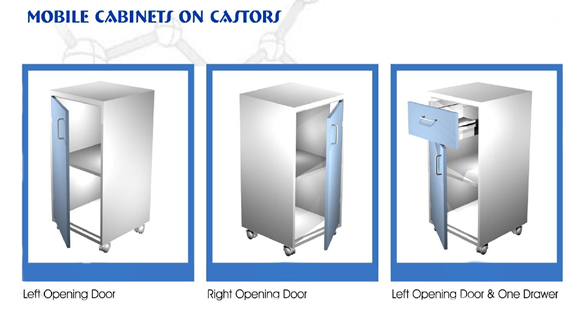 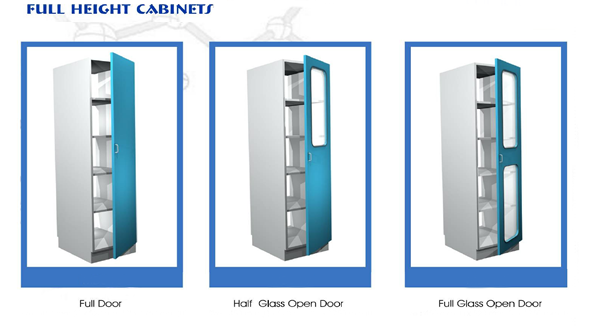 of doors and drawers to permit changes in the field at any time by laboratory personnel. 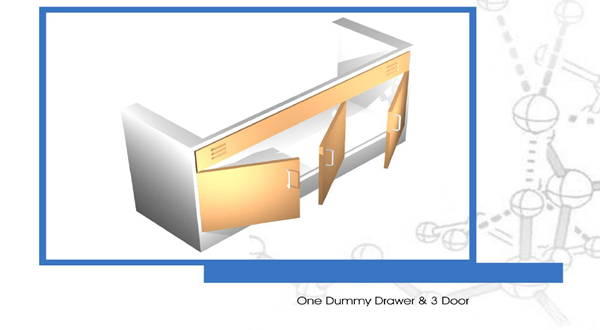 B. One-piece drawer bodies with coved, horizontal corners. 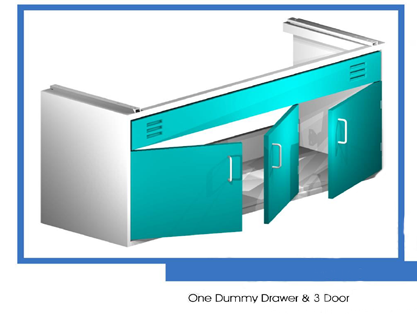 C. Double-walled, sound-deadened drawer fronts and doors with full-channeled edges. 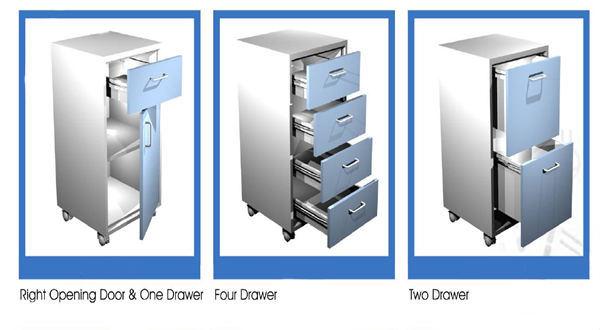 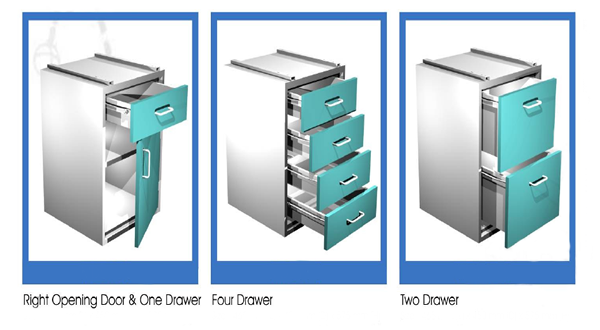 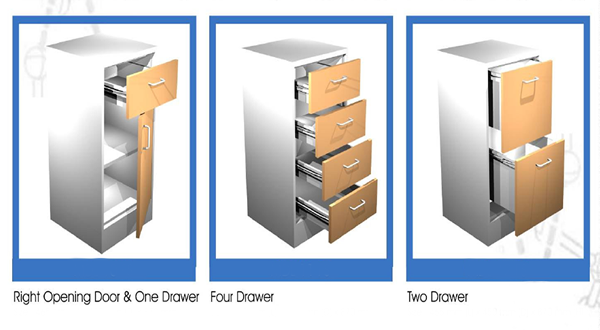 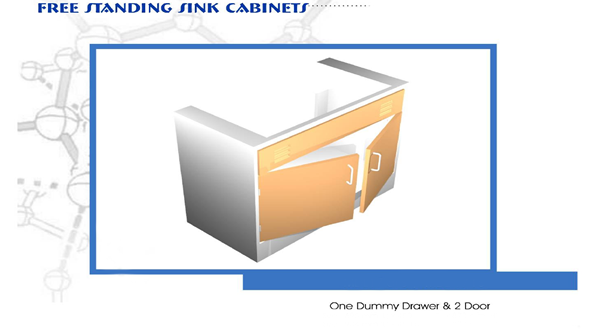 D. Adjustable drawer guides that allow drawers to lock in a full open position. 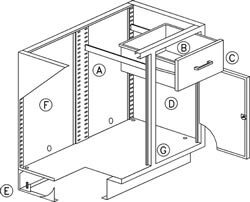 E. Leveling bolts at all corners. 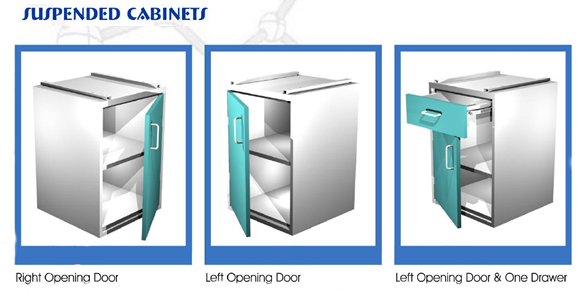 F. Fully removable back panels at door or open cabinets for access to piping and wiring behind cabinet. 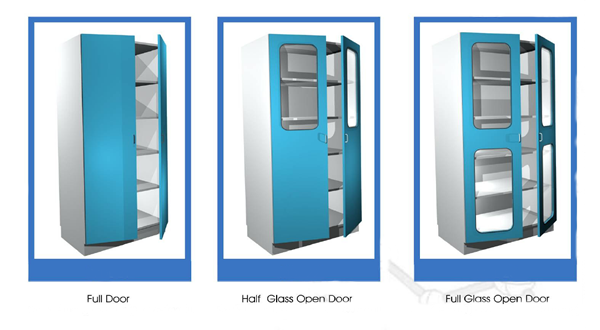 G. 18-gauge bodies with flush, seamless-welded face. 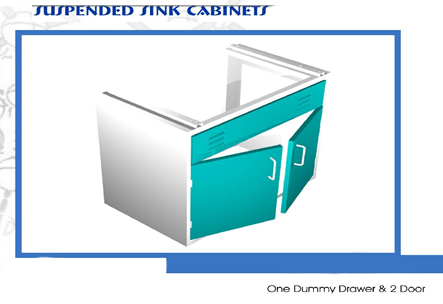 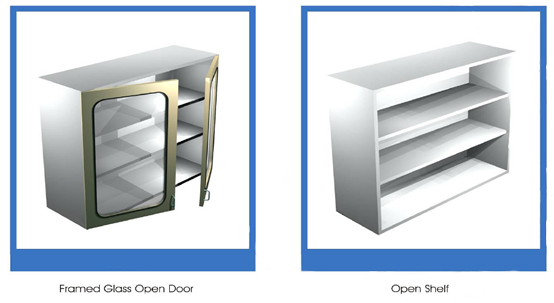 Channel-shaped intermediate uprights prevent cabinet racking and assure better fit of drawers and doors. 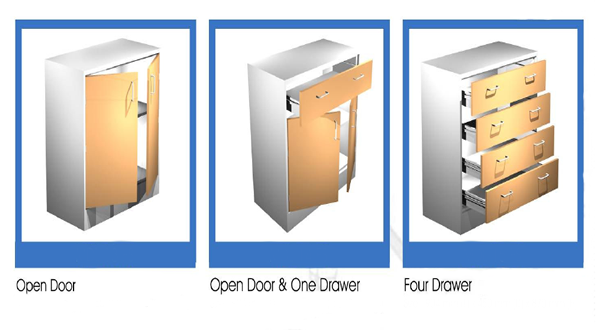 H. Variations of all the above models are available on special order. 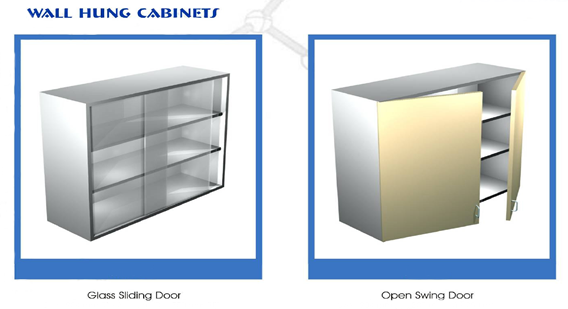 The following are artistic colored renderings of steel furniture available through Total Lab Solutions.